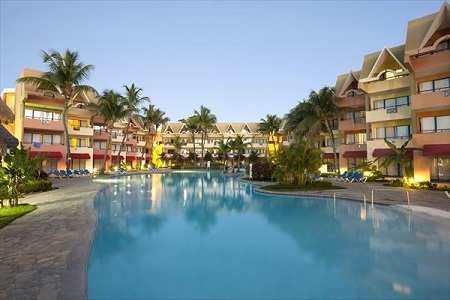 Casa Marina Beach - All Inclusive resort located in Sosúa, 10 minutes from the Puerto Plata International Airport and 25 minutes from the Puerto Plata town. 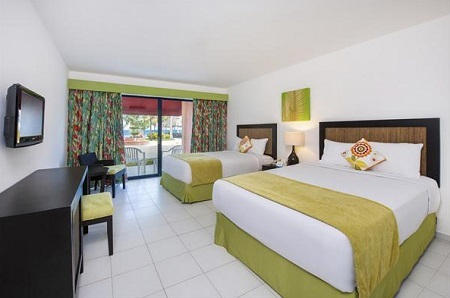 Adjacent to a private beach surpassing 500 meters long in the town of Sosúa, laids this resort, recognized for its charming atmosphere and inexhaustible fun possibilities. 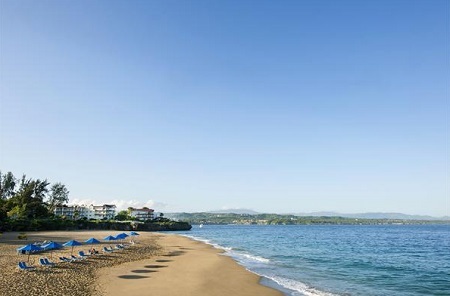 Sosúa is a fascinating spot in the Dominican Republic for its history and mix cultural character. ** Reservation required. Dress code apply. 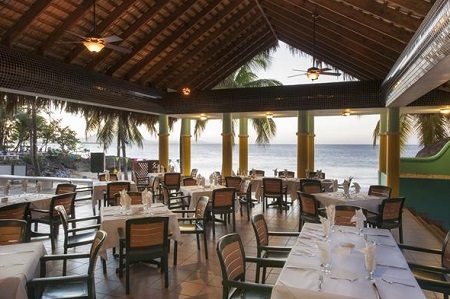 Main menu in A la carte restaurants included, specialty dishes at extra charge. With two double beds or 1 King Bed, air conditioning, Flat Screen TV, telephone, minibar (water and soda), hair dryer, safety deposit box ($), terrace or balcony, with garden, pool or ocean view. Rooms are assigned at check -in. 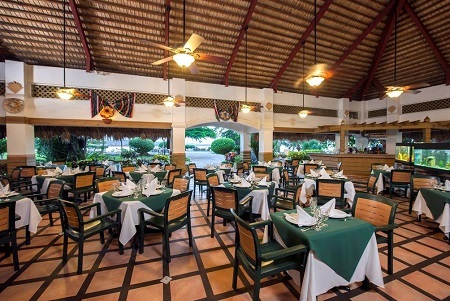 Casa Marina Reef - All Inclusive resort located in Sosúa, 10 minutes from the Puerto Plata International Airport and 25 minutes from the Puerto Plata town. 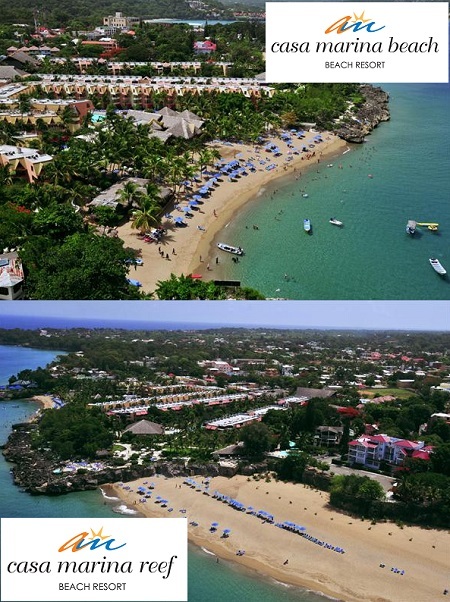 Attractively built on a reef transformed into a natural sun deck, you'll find casa marina reef beach resort. Offer’s two double beds or 1 King bed, air conditioning, Flat Screen TV, telephone, safety deposit box ($), full bath, terrace or balcony, garden or pool view. 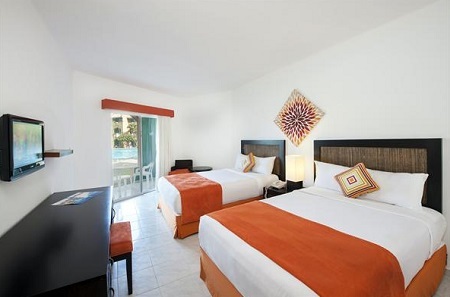 Single supplement: Bid price is per person per night based on double occupancy in a Superior Room. A single supplement of $40.00 per person per night is available to those traveling or rooming solo. 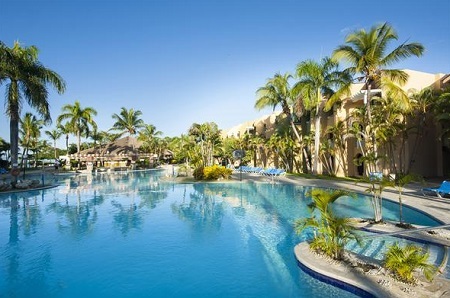 A Tax and service charges of $39 per person per night is additional.